Fifteen of the 20 metro areas that rank highest on a combined score of transit cover- age and job access are in the West. Top performers include metro areas with noted transit systems such as New York, Portland, San Francisco, and Washington, but also Salt Lake City, Tucson, Fresno, and Las Vegas. Conversely, 15 of the 20 metro areas that rank lowest are in the South. 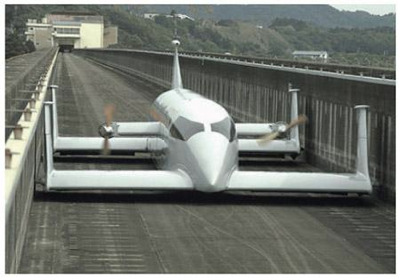 A robotic prototype of a free flying ground-effect vehicle has been developed by a Japanese research group at Tohoku University. The ground-effect vehicle takes advantage of fast-moving air and uses stubby little wings to fly just above the ground, like a maglev train. The vehicle is controlled more like an airplane than a train; the operator has to deal with pitch, roll, and yaw as well as a throttle. Google is quietly lobbying for legislation that would make Nevada the first state where autonomous vehicles could be legally operated on public roads and would allow occupants to send text messages while sitting behind the wheel. Why are sidewalks and driveways made of concrete, but publicly owned streets are much more typically made of asphalt? What does this say about private and public goods and priorities? Are we building the public environment on the cheap, yet are willing to invest in concrete for private goods? Prof Richard de Neufville at MIT uses this as example of the effect of Discount Rate on decisions. He argues if interest rates are higher, the future matters less, so first cost is more important, while if rates are lower, costs in the out-years matter more. He also points out that capital subsidies (as in the Interstate program) warp local decisions to choose investments with higher first costs (i.e. 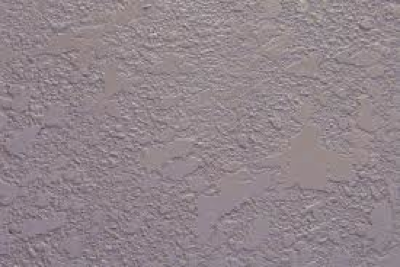 concrete) compared with asphalt. Back to the first paragraph, I suspect local governments are more concerned with first costs than downstream, i.e. 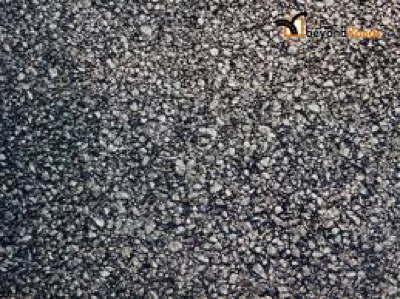 they have a high discount rate, while private homeowners internalize those costs when deciding on driveways. This doesn’t explain sidewalks though, which are typically provided by developers (as are local streets). It would actually reward high-income households and those that buy the most gas and do nothing for the 9.2 percent of the labor force that is unemployed or those who are retired and living on Social Security. Social scientists, meanwhile, continue to explore the potential benefits of higher gas prices. A new report from Canadian researchers connects higher fuel costs with reduced sprawl. A pair of recent studies from Mississippi State (via The Transportationist) link higher gas prices with safer roads. that if decision makers wish to reduce traffic crash rates, increased gasoline taxes are a considerable option because raised gasoline prices reduce traffic crashes directly. [H]igher gasoline prices are less likely to deter heavier drinkers from drunk driving, as heavier drinkers are less likely to change driving behaviors due to gasoline price changes and may even drink more in response to economic stress.